Hello! 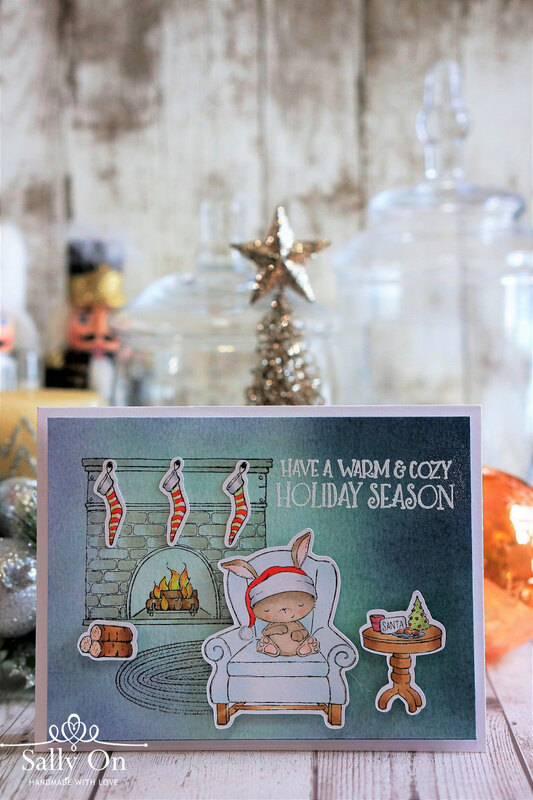 Today I'll be sharing another card I made using the new collection from Stacey Yacula ~ 'Twas The Night Before Christmas! 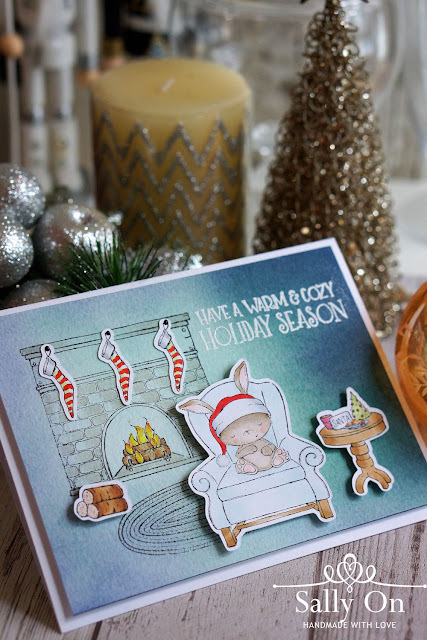 Stamps used: Sugar Plum (sleeping bunny in chair), Cookies for Santa, Fireplace & Rug, Door decor, Fireplace decor. Sentiment from Essential Holiday Greetings set. The background of the card is blended with distress inks and all images are coloured using Copic markers. I really enjoyed colouring Sugar Plum as it's such a cute image, looking so comfy in the armchair! I added the wood logs to balance out the card and also to add a little more fun to the fireplace. The complete set of 'Twas The Night Before Christmas is now available at Purple Onion Designs for a discounted price of USD95.00 which amounts to almost a whopping 30% off! Offer ends on 19 November. I hope you like what I've shared today! For more inspiring projects, just head over to Purple Onion Design blog and see the wonderful projects the design team has put up! I'm sure you'll love all the gorgeous creations! Thank you for participating in this hop... really like your using 3-D with your images! Nice blending on your background too!